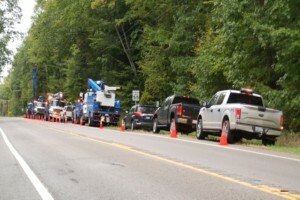 Autopsy Results: Utility Worked Died From High-Voltage Electrocution in Grand Traverse Co.
We can now tell you how a utility worker died while working in Grand Traverse County last month. Autopsy results show James Farrington died from high-voltage electrocution. Farrington was a Consumers Energy utility worker who was working on a 7,200-volt line when he was shocked. He was taken to the hospital, where he died.